Welcome to the Trianon guest house where you are greeted by ourselves Dawn and Steve with a warm and friendly welcome. On arrival we will offer you a complimentary tea, coffee or if you fancy anything stronger you may purchase a drink from our friendly bar. We offer a variety of rooms to hopefully suit your needs which are very clean and comfortable. 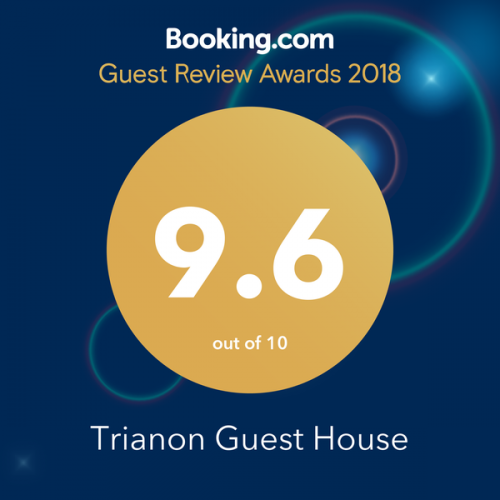 We have a very high standing with our reviews on booking.com, Expedia and Trip Advisor. 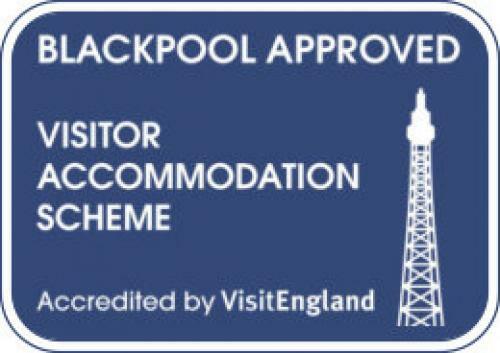 We are members of the stay Blackpool group which ensures you that we meet required standards for our hotel. We are located right in the heart of Blackpool with easy access to the World-Famous Blackpool tower, the winter gardens, Central pier, the promenade, Shops, Restaurants, the pleasure beach being a short tram ride away and so much more. For your breakfast we offer you a good hearty full English with good quality products supplied to us by our trusted Lancashire butcher using his thick cut sliced bacon, Pork sausages made by him and black pudding made by the real Lancashire black pudding company. We use free range eggs, gluten free hash browns and Branston beans with fried bread and tomatoes. We also cater for any dietary requirements please ask at the time of booking. Book Directly with us for the best possible prices. This room has a triple sleeper bed and a double bed. It is located on the 2nd floor. This is a smaller double cosy room suitable four one or two adults or one adult and a small child.